As you’ve seen in our advertising and on social media, we launched a “Committed” campaign this year. We wanted a theme to encompass three promises: our promise to be a leader in the life insurance industry; to help families protect their loved ones; and to be the best employer to our employees. We extended this theme more internally by designating July 14 as “Commitment Day” to appreciate our employees who champion this cause. 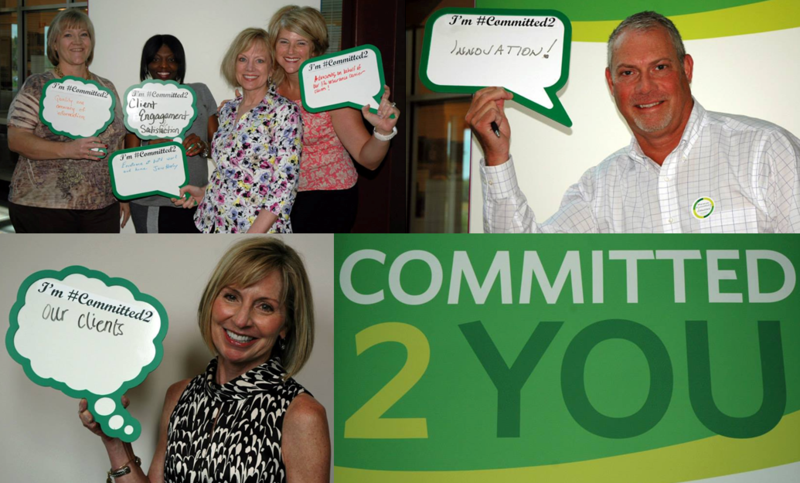 We asked them to express their commitments by writing them on a wall, taking fun captioned pictures and by posting what they are #Committed2 on Twitter. Employees also heard updates from the ExamOne leadership team and had the opportunity to ask questions. Field employees were encouraged to participate in Commitment Day by sharing their commitments and office pictures on social media. The goal of day was not only to be a fun thank you to employees, but also to recognize the important role they play in both our company and your company’s success. The event also helped strengthen our common commitment of helping 95 million Americans without life insurance protect their families. The festivities might have only lasted one day, but our employees are committed to you — our clients — and applicants every day. See more from Commitment Day on Facebook!